On Wednesdays I choose an article of clothing that should absolutely not be worn and give you a recommendation of something you should substitute that piece with instead. Today’s topic: Bootcut Jeans. Let’s take that a step further, poorly fitting pants in general. (Boot Cut) So you want to wear boots and look like a cowboy? Don’t even bother, those guys didn’t even brush their teeth. The problem with bootcut jeans is that they absolutely wreck the natural outline of your body. The flared leg openings are flattering to no one and the current trend leans heavily towards a large-upper and a narrow or straight-lower silhouette for men. Now that you know this, let me give you the solution to the problem that is as prevalent as the bubonic plague during its hay day. Tapered fit pants. (Tapered Fit) And just like that, you look like a citizen from the 21st century. You’ve gone from Kmart pedestrian to dappered gent. Well done! 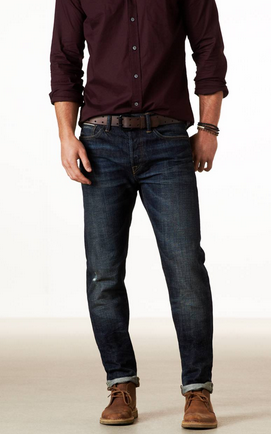 The perfect entry-level addition to your wardrobe is the Levi’s 508 Tapered Jeans. A tried and true brand paired with an unbeatable fit. The 508 is the regular tapered fit and the 511 is the skinny tapered fit. Most of you should pick up the 508s unless you have ever been called a “twig,” have been told that you need to “eat more often,” or have been mistaken for a fishing line in passing. Tapered pants reduce the amount of excess material around the thighs and through the leg openings. 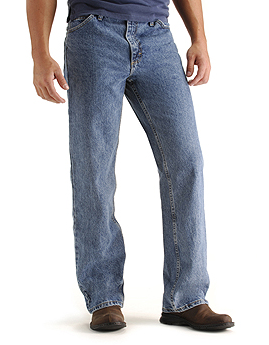 They fit closer to your legs and hug the leg the further they go down, as opposed to the bootcut flair, which does the opposite. Now go out and cop yourself a pair! You owe it to yourself!